If a friend drives my car, is he or she covered by my auto insurance policy? Since most insurance coverage is connected directly to the car, if someone else borrows your car occasionally, he or she should be covered under your car insurance policy as a permissive driver, unless they are specifically excluded or your policy indicates all other drivers of your vehicle at time of loss will be excluded. For example if they live in the household and that information is withheld, like a roommate you forgot to tell your insurance company about, that may not be covered. Your premium is based on both your vehicle and the “primary” driver of that car—you. If someone else starts driving your car more than you do, contact us to have them added to your policy to avoid coverage complications. When you borrow someone else’s car and are involved in an accident, his or her insurance will kick in first. However, beware of driving someone’s car if he or she has little or no insurance, as your policy could be triggered once their limits are exhausted. Also, once the other party realizes the driver is not the owner, they may go after your insurance policy as another source of liability. However, your policy may not have coverage for this incident because the majority of carriers do not extend coverage to non-owned autos because no premiums are being charged for vehicles driven and owned by someone else. You can check with your company or agent to see if they offer a “Non-Owned Auto Endorsement” to allow coverage in these types of instances. I was driving to Orlando, Florida from my house in Longwood and an uninsured driver totaled my car! Who pays? Your own collision coverage would cover it after your deductible. If you don’t have collision coverage on your policy, you will have to pay for the damage out of pocket. Yes. The liability portion of your insurance policy guarantees your insurance company will defend a claim or lawsuit on your behalf, up to your policy’s limits of liability. The Limits of Liability cover Bodily Injury Limits and Property Damage Limits that you cause. What your policy will pay out depends on what your Limits of Liability are and what the cause of the Lawsuit may be. Be sure to verify you have ample coverage to protect your assets, so that if you cause an accident your policy limits will protect your assets in the event of a lawsuit. No. Rental reimbursement is for cars that are being repaired as a result of accidents or other insured damages (storm damage, theft…) if there is comprehensive coverage on your policy. My iPod was stolen from my vehicle sitting outside of my house in Altamonte Springs. Is it covered under my automobile insurance policy? Almost all auto insurance policies exclude coverage for any losses of media players and other sound transmitting or receiving equipment used in an automobile. For added protection, check with us about purchasing additional coverage for the stereo and media players used in your vehicle. If there are multiple personal belongings stolen from your vehicle at one time, your homeowners or renters insurance may pay out under your personal property coverage. The deductible on the homeowners/renters insurance policy would apply. Having the right vehicle coverage, policy limits and deductibles in place is an important part of financial planning. Call us today to learn more about how we can help you get the comprehensive automobile coverage you need to minimize any unwanted surprises! 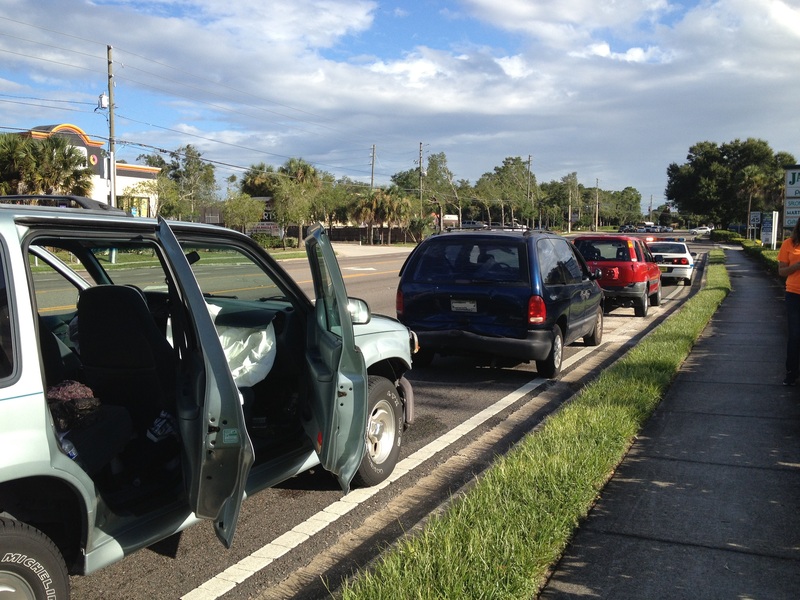 This entry was posted in florida auto insurance, orlando auto insurance, personal auto insurance, Uncategorized. Bookmark the permalink.